Everything in every cell of your body was once a biological or elemental part of your environment, originating in the soil, air, and water. You came from the earth. Like all living things, your life is supported by the earth, and one day your physical body will return to the earth. While you are alive, the food you eat is inextricably linked to soil particles that existed millions of years ago, part of a food chain that was here before mankind even appeared on the scene. We must eat to live, but for some, eating amounts to nothing more than an arbitrary act, simply a way to fill their stomachs and avoid the sensation of hunger. The best way to live, however, is to eat consciously, with awareness, and with the intention that everything you allow into your body must be healthy and pure. That isn’t always easy. The food available in most grocery stores and restaurants might not be as healthy as you think it is. The only way you can have ultimate control over the quality of the food you consume is to acquire it from an organic farm, a farmers market, or grow it yourself in soil you know to be untainted and healthy. Yes, “healthy.” Soil is alive! It has vitality, a word defined as “of, or manifesting life.” Every cubic inch of healthy soil is a miniature world of beneficial living organisms carrying out nature’s amazing processes to break down organic matter, making it available to plants’ roots. Those roots take up these life-giving elements to nourish the plant that nourishes you. Soil innovation is what Dr. Earth® is all about. Our patented ingredients like PreBiotic®, ProBiotic™ and ProMoisture Hydrate® all came about as a result of our company’s thorough understanding of the nature of healthy soil and how to nurture and preserve its life-giving properties. Commercial agriculture supplies our grocery stores with all the produce we can imagine, certified organic or not. Some is grown locally, some on the other side of the nation or even the other side of the world. Although certification programs exist for organic farmers, your home garden has no policies or rules. We have no manual to follow. Instead, we must have some common sense. If you use your neighbor’s leaf litter as compost and are positive they don’t apply any chemicals to their soil or plants, you don’t need to worry about the quality of the leaf litter. Certification is more important to commercial growers who must prove they are growing by accepted public standards or a set of rules in order to truthfully label their produce organic. For the home gardener, certified is a useless term, but you can make the choice to set your own high standards and use products and practices that will give you peace of mind and the assurance that your food is wholesome. If you are not 100% certain that the soil in the location where you have, or plan to have, a garden is completely safe, don’t take chances. Consider a new site or create a garden of raised beds and add good soil. Dr. Earth® bagged soils will give you complete peace of mind and allow you to grow the delicious, nutritious produce you will never find in a store. The rest, buy from local farmers markets or a good local produce market that stocks organic produce, where organic certification actually matters. At home, trust your own good judgment and the excellent products made by Dr. Earth®, made with the intelligence of nature. Look deeply into your particular situation to understand how and why the practices you choose meet your needs while protecting yourself and your soil. In any agricultural endeavor, whether a small home garden or a massive corporate farm, we humans need to focus our energy on nurturing the soil which serves as the basis for healthy sustainable growth of our bodies, economies, nations, and planet. By practicing organic gardening on a personal level and supporting others who do, we can hope to someday change practices on a global level and make a real dent in the universe. Healthy soil is the cornerstone of the prosperity of nations. All over the planet, human health relates directly to soil health. Healthy, living soil gives life to everything that grows in it and is the main source supplying our plants with the sustenance they need to properly develop into naturally thriving, insect-resistant, nutrient-packed produce. When we eat a piece of a living plant that came out of living soil, our body draws out the nutrients we need to stay alive and be healthy. Looking at this life process in reverse, we stay alive by extracting the life from living plants that depend on living soil. When you think about these facts, you can realize what an important resource our soil is and why we should all be concerned about the way it is being polluted and destroyed through mankind’s carelessness and abuse. Your home garden is a better source of produce than commercial agriculture. When it comes to the large corporations that control most of our food supply and farmland, the concern is profit, not human health. Chemical fertilizers and pesticides might give quick results but they do nothing to maintain the balance of nature, actually killing the life in the soil over time. Likewise, fertilizing with sewage sludge – or “bio-solids,” the concentrated end product of wastewater treatment plants – has the potential to pollute soils with pathogens, heavy metals, thousands of chemicals, and other impurities that survive so-called “treatment” of waste that merely concentrates what heat cannot destroy. Rest assured that Dr. Earth® soils and fertilizers have never and will never contain any bio-solids or cheap fillers like chicken manure. To succeed at gardening, you must understand your natural surroundings. Learn the usual dates of the first hard frost and the springtime thaw in your area. What you can plant and harvest depends on when your specific planting and growing season begins and ends and how long it lasts. Also, you must know where the sun rises and sets in relation to your planting beds. For example, you need to know how many hours of direct sunlight your plants can receive and where the shadows, if any, fall in the afternoon. Next, you must attune yourself to the annual and seasonal weather patterns in your area. Gardeners love a comprehensive weather report (rain, wind, high and low pressure and temperature extremes) because it helps them plan their activities. Note when seeds germinate and when insects (and which ones) begin to appear. Invest in good quality soil and air thermometers to give yourself an edge in living with the elements. Your geographic climate zone will determine which plants can thrive in your garden. The USDA publishes the most commonly used hardiness zone map, which divides the continental U.S. into 11 zones derived from the average annual minimum temperatures. You can find a copy of this map online, at a local library or university, or in gardening books. Another good zone map comes from the editors of Sunset Magazine. They divided the United States and southern Canada into 45 climate zones, considering many variables such as area temperature extremes, humidity, rainfall, local topography, elevation, and even proximity to large bodies of water. You can also just visit your neighborhood nursery. Nurseries want to offer plants that will thrive for their customers, not those that might fail. Your success is also their success, so they are unlikely to even carry plants that won’t do well in your zone. Plants that produce fruits require plenty of sun. Allow at least six hours daily for tomatoes, cucumbers, zucchini, peppers, beans, corn, eggplant, summer squash and cabbage. In general, the bigger the fruit, the more sunlight it must have. On the other hand, many vegetables and herbs do well in shaded areas, needing only about four hours of sun per day. Try carrots, beets, chard, cauliflower, chives, lettuce, chicories, radicchio, arugula, basil, mint, parsley, spinach or winter squash in these shadier areas. For leafy green vegetables, less sunlight is fine. Sandy soils drain too quickly and clay soils too slowly. Adding organic materials helps to correct and balance both types of soil. If you have a good balance between sand, silt, clay and organic materials, you have a solid foundation for good drainage as well as moisture retention in the space between soil particles. When you improve your soil’s drainage, you reduce the level of fungal pathogens. You also improve root development and nutrient availability in a healthy aerobic environment. Do a simple test to see how your soil drains and whether you need to make changes to correct your drainage. Dig a hole about 1 foot deep and 6 inches wide. Fill the hole with water and let it drain completely. When the hole is empty, fill it again with water to the very top. If it takes more than 10 hours to empty again, you have a drainage problem. The good news is that this problem can easily be solved by adding organic materials or drainage pipes. You can also grow plants in raised beds. Most plants are 90 percent water, 60 percent of which is delivered from the soil to the plant through plant root hairs. To keep your plants healthy and thriving you must have a good soil with plenty of organic matter to act like a sponge and allow the almost microscopic roots to travel through porous, well-draining soil. The best way to tell when and how much water your plant needs (whether in the ground or a container) is to feel the soil. Probe your finger about an inch or two and feel if it is dry or moist to the touch. The soil type makes a huge difference. Also, the more organic material in a soil, the less you have to water. The hotter the day and the shallower the root system, the more you have to water. Gardeners should pay attention to soil, weather, dryness and humidity. Your sprinkler system timers will likely need to be adjusted once a month, depending on weather conditions. Plants do best when they receive just the amount of water they need, right when they need it. Inspect your soil. Look at it and feel it. If it looks and feels dry, you may need to alter your watering schedule. Likewise, you could be overwatering and wasting water. Watering in the morning gives your plants the entire day to draw the water from the soil as needed, especially on hot days. Water slowly, to insure proper absorption. Water deeply, so that it does not run off the surface, never making it down into the root zone. Shady spots need less water, while the sunny areas dry out more quickly and need more water. Before a contractor can build a home, the architect must provide a plan, a blueprint that clearly shows how the house looks and functions. The same is true when creating and designing a garden of any size. You must know how to put it together. Will you start from seeds or transplants? Sprinkler system or hand irrigation? How will the elements of your garden work together? What are the sun requirements for your plants? Where will the same plant go next year? What plants are you going to grow in summer, winter or fall? What is the best soil mixture for you? When will the transplants go in the ground? How hardy are the plants you want to grow? When should you start them? What is the nutrient value of a desired plant? Remember, you are growing a nutrition garden. You will have a health food store right in your backyard. Make sure to invest time in a solid plan that brings you that much closer to your dream garden. There are thousands of books on planning your garden. Pick one up and get more ideas. 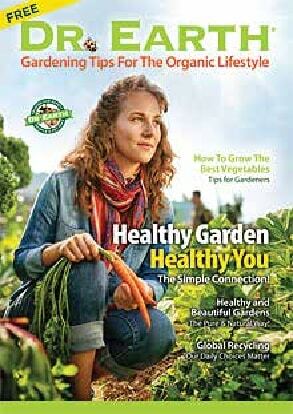 You can never have too much knowledge about your garden and your health.